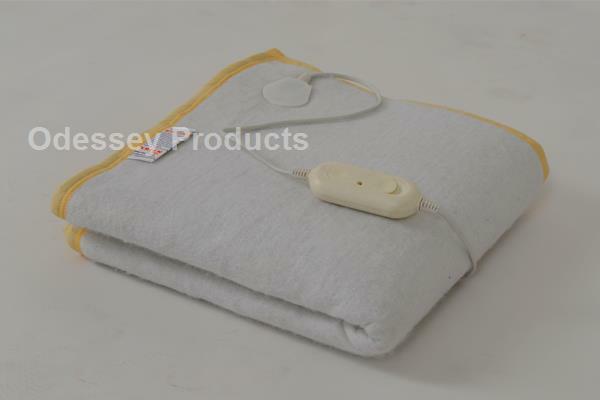 This standard electric blanket has a short 20 minute heat up time, specially design for HOSPITALS,SPAS,HOTELS AND RESORTS use. It comes with a 3 heat setting controller . The blanket is made from polyester. 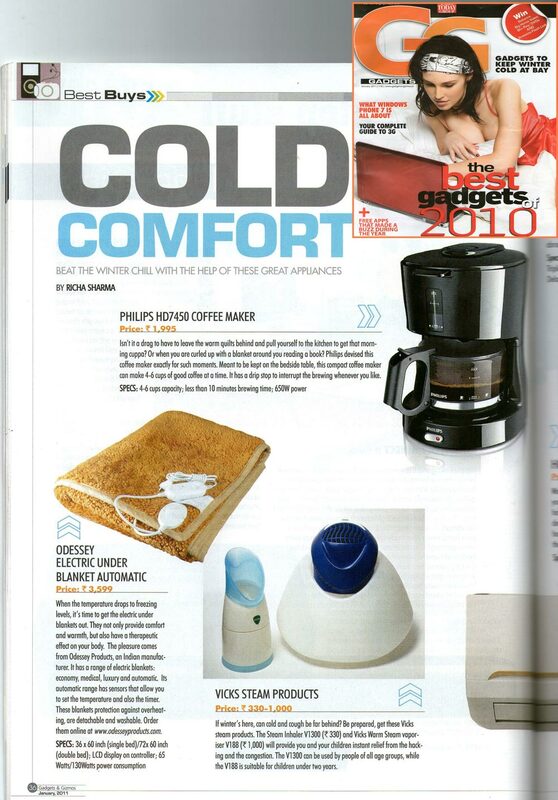 - Take a second to imagine to sleep on slightly heated surface in chilling winter. - Most Convenient and economical way of keeping a person warm. - Very Useful for Arthritics/Old age pains. - With three temperature settings : Off/Low/High(0-1-2). Use setting 2 for 20 minutes for pre-heating the blanket, and then use at 1 or 2 as per your convenience. - Two built in Thermal cut outs for 100% Safety. - Teflon Coated Wiring for protection against overheat. - LED Indicator for Clear Viewing. - Even Distribution of Heat. - Long Lasting Heating element. 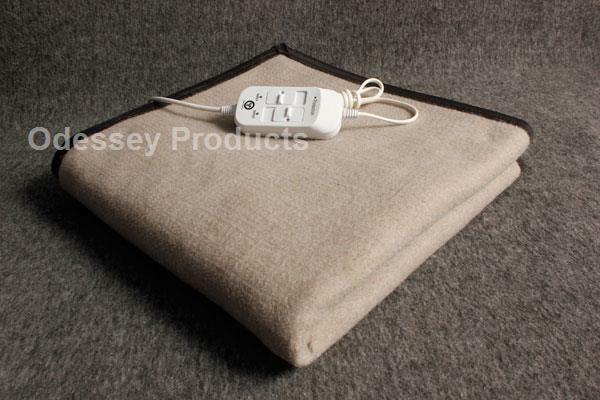 - Well insulated on either side for complete safety and comfort. - Not to be Used by the patients with Pacemakers.